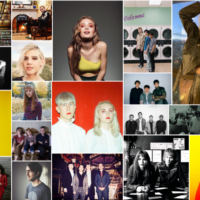 This week the Melodic Tonic ’18 March 21st edition serves up some mellow fare. 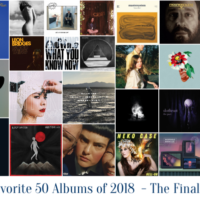 Prepare to back in the gentler tones of six North American artists whose melodies will soothe you. Some songs are so powerful that you are forced to be still and absorb each note in quiet submission. Listening to “Must Be A Way” from Aisha Burns (violinist for Balmorhea) feels a bit like music communion: you bow your head in reverence while she administers the host. Here the sacramental elements are love and pain, both dispensed with a tenderness that could shatter even the hardest heart. Close your eyes while listening to suppress the tears waiting to fall. So what makes this song so poignant? For starters, Burns sings from personal experience about loss. The yearning in her voice becomes almost palpable when paired with the simple acoustic guitar and violin. Add in some ethereal backing vocals and this four-minute ballad becomes a therapy session. 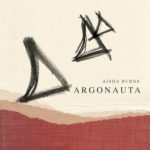 Pre-orders for her sophomore album, Argonauta, are available from Western Vinyl ahead of its May 25 release date. You can get this single now on iTunes. 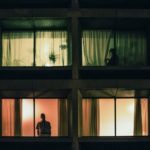 The average university student struggles to make time for their personal life in between classes and working. Fortunately, Kaiya Cade is light years from average. This singer/songwriter from Toronto is pursuing an advanced degree in Musicology yet still finds time to record. Her upcoming self-titled LP features the stunning “Feed” that will take your breath away. The moment you hear her voice, you realize this is an extraordinary talent. Her whispery vocals have an ethereal grace, while the pared-down instrumentation echoes the style of José González with a hint of Agnes Obel. Everything about this song is elegant. “Feed” is equal parts cool breeze and cozy fire, a combination not soon forgotten. Get to know this artist now. She won’t be a hidden gem for long. 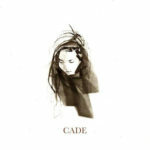 Cade is available for pre-order on Bandcamp via the excellent British indie label Fox Foods Records. CADE are: Kaiya Cade (lyrics, vocals, guitar), Josh Bois (guitar, backing vocals), Wesley Allen (bass), Adelaide Beach (violin), Cory Blackburn (percussion), plus Ian Wright and Julian Clarke (drums). 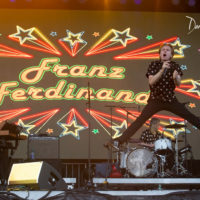 What begins as a tender ballad over sparse guitar becomes more sun-kissed before it picks up around the two-minute mark. Then he cranks the volume a few notches just to show you he’s capable of rocking. There is no doubt Mute Choir has the versatility to appeal to fans of many genres. 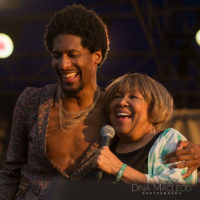 The dreamy first half shows how adept he is at making an emotional connection with the listener (especially when the soaring harmonies come in after he sings “But you don’t give a damn”). However, the last half proves Mute Choir is more than a singer/songwriter confined to an acoustic stereotype. This is an impressive introduction to an artist whose career we are excited to follow. This single is available to stream and purchase from these links and iTunes. He’s right: compared to his younger years spent in Tennessee, “everything looks so different now” as an adult in New York City – or anywhere for that matter. But the quirky joy of this song restores the balance between youth and adulthood. 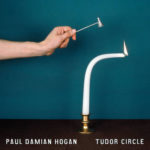 “Frozen Fantasy” is from Hogan’s newest album, Tudor Circle. The four-song EP is out now on Bandcamp with 100% of the proceeds going to Everytown for Gun Safety. Haunting. Arresting. Intuiging. Intoxicating. Each of those terms applies to “Red Rider” from Vive la Void, yet none can fully capture the song’s moody brilliance. This synth-driven tune envelops you in its sultry tones, which is no surprise since Vive la Void is the project of Moon Duo’s keyboardist Sanae Yamada. 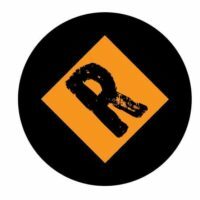 Yamada sets the tone for “Red Rider” with icy Krautrock-inspired minor chords that pair nicely with the heat her vocals provide. The melody is potent and hypnotic. If you’re a fan of Moon Duo, you already know the kind of magical spells Yamada can cast. Here she digs a little deeper into her back of tricks and reveals new flavors. One taste of “Red Rider” will have you begging for more. The good news is that you won’t have to wait much longer for your next fix. 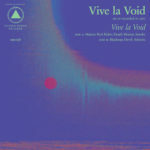 Vive la Void’s self-titled debut arrives May 4 via Sacred Bones Records with pre-orders from the label and Bandcamp. If you can’t wait that long, you can get the single now. Then feast your eyes on this song’s video. Raise your hand if the insanity of the news cycle has you questioning your sanity. You’re not alone. Music fans aren’t the only ones oppressed by the constant barrage of bad news: musicians feel the same way. This is why artists like Gregory Ackerman are so crucial to our collective mental health. The music they make gives us something that’s both distracting and therapeutic. Ackerman’s newest single takes our frustrations and turns them into a jaunty anthem. 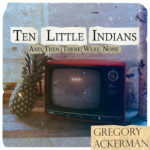 “Ten Little Indians/And Then There Were None” enumerates a list of modern problems – from “Ten voices on the TV screen all disagreeing” to “Six fish left swimming in a pond, then came the bomb and now there’s no tuna.” Heavier topics like war and death aren’t uncommon in music; it’s a common theme in protest songs. But with effortless ease, Ackerman plays narrator to modern history. Like those TV talking heads, he’s covering the hottest topics of the day. But instead of regurgitating one depressing news story, here he draws our focus to several. In doing so, he pokes the bear of our desensitized apathy. Hopefully “Ten Little Indians/And Then There Were None” will serve as a wake-up call. We need to stop accepting the continued trends and take action to change the world for good. You can buy or stream this song via these links. The album And Friends arrives May 4 via Munich Records.